At 20 years old, you would think Viva Pentelicus would be slowing down. Instead, the poster boy for Healing Arenas in California will be back to work at California Agriculture Day – AG Day 2016 – on Wednesday, March 16 on the West Steps of the California State Capitol in Sacramento. The event is hosted by the California Department of Food and Agriculture. Handling the crowd at AG Day 2016 will not be a problem for “Veev.” He made 96 starts as a racehorse and earned close to $350,000. He joined the Thoroughbred Retirement Foundation herd in 2005, and was adopted from the TRF's Flying Y Farm in Oklahoma in 2012 by founder/president Julie Baker at Healing Arenas in Escalon, Calif. Since then, “Veev” has established himself as the stable star and the go-to public relations horse. At AG Day 2016, Baker is certain that “Veev” will put to rest many misconception about racehorses, mainly that they are too high-strung for any activity but racing. He was a stalwart as a racehorse and handled traveling so well that he fashioning a career record of 22 wins, nine second and 14 thirds. Starting at Sportman's Park in Illinois in 1998, he raced at more than 20 tracks across the country until his last race at Remington Park in Oklahoma in 2005. It is his patience and intelligence, however, that has kept him busy with Baker's various programs. 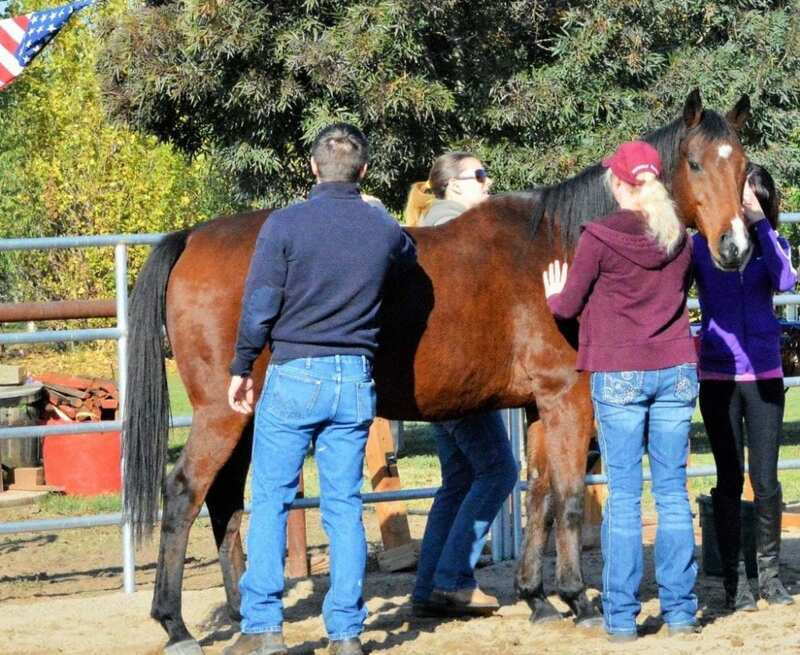 This entry was posted in Horse Care and tagged california agriculture day, california horse racing, equine nonmounted therapy, flying y farm, Healing Arenas, julie baker, thoroughbred retirement foundation, Viva Pentelicus by Press Release. Bookmark the permalink.